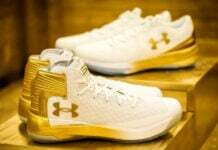 In recent Curry and Under Armour news, the two officially unveiled the latest model, the Curry 3Zer0. 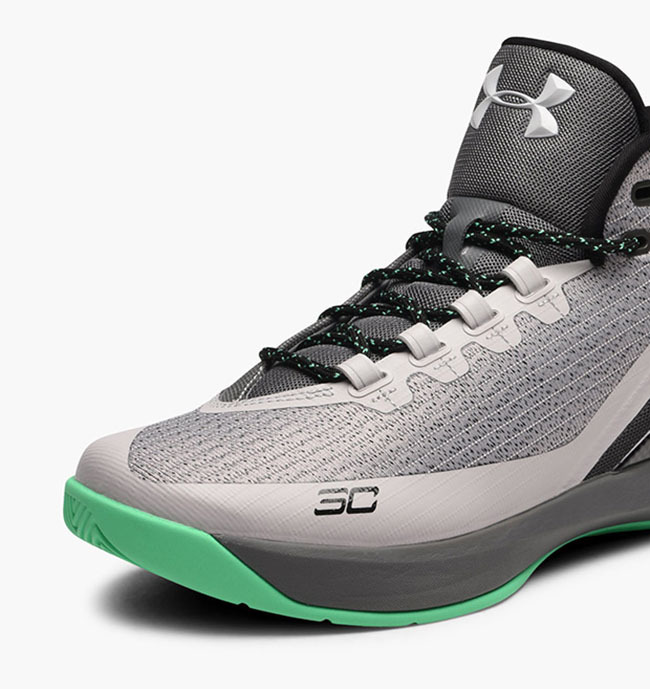 However, the brand is still launching more colorways of the Curry 3. 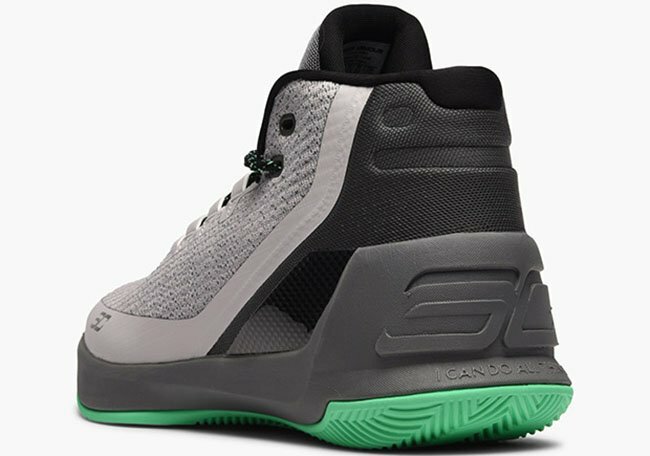 One of the models that is now arriving is the Under Armour Curry 3 ‘Grey Matter’. 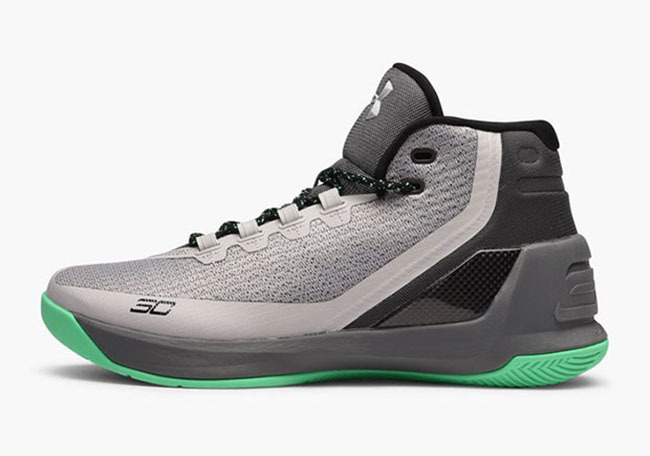 This UA Curry 3 is inspired by Steph’s high school basketball IQ while featuring a Grey and Green color combination. 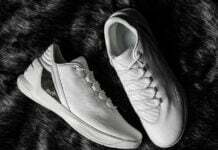 Across the uppers we have a mixture of Dark and Light Grey while black wraps the heel and is applied to the carbon meta wing plate. 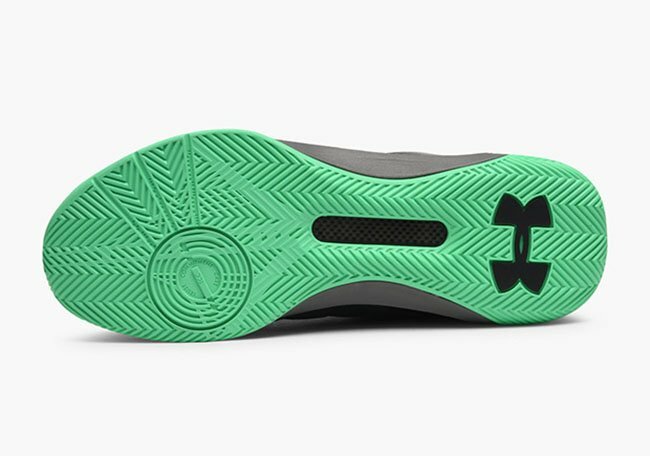 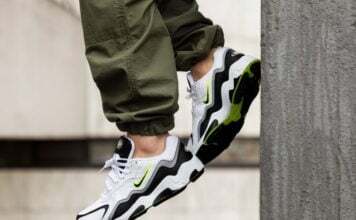 Completing the look is Green which is speckled across the laces and covers the outsole. 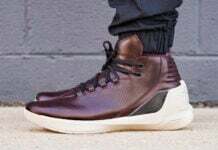 Continue to scroll below to check out more images of the Under Armour Curry 3 Grey Matter which will give you a detailed look. 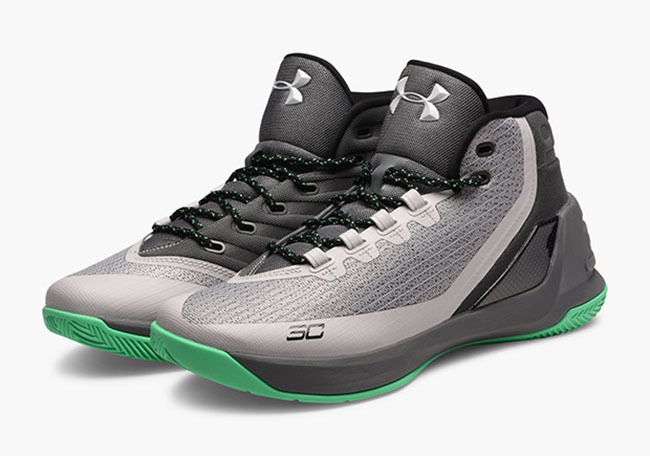 They are now arriving at select UA retailers which includes Caliroots.